A calculated formula question allows the instructor to enter variables into the question and a formula. Blackboard will automatically generate a unique question for each student within the variable range you select. Teacher View: If a small soda glass contains [x] ounces of soda, and a large soda glass contains [y] ounces of soda; what is the total number of ounces in 4 large and 3 small glasses of soda? Students are presented with a question that requires a numeric answer. An answer range (+/-) is available to have multiple answers. Essay questions require student to type their answer into a text box (WYSIWYG). This question is manually graded. File Response questions require the student to upload a file from their computer or Content Collection. Fill in the multiple blank questions require the student to provide the missing word(s) for up to 10 blanks. Case Sensitive is available. Teacher View: The oceanic crust is made of [a] and [b] and is [c] [d] thick. Fill in the blank questions require the student to provide the missing word(s) for the sentence or paragraph. Case Sensitive is available. 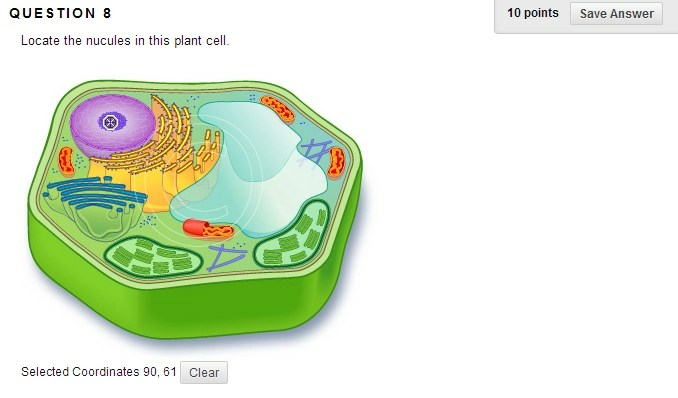 Hot Spot questions require the student to select a specific area on an image. Jumbled Sentence questions require students to complete a sentence by selecting words or phrases from a drop-down list. Matching questions allow students to pair items in one column to items in another column. Multiple answer questions allow the student to pick more than one answer choice. Multiple choice questions allow the student to pick the correct answer from a several choices. Opinion Scale questions can have a range of choice from 2 to 20. Text of the choice can be changed. Ordering questions require students to put a series of items in a correct order. Quiz bowl questions are similar to Jeopardy, they must respond with a question. Short Answer questions are similar to Essay questions. A specific number of rows can be displayed, but the student is not limited the specified rows. This question is manually graded. True/False questions allow students to choose either true or false in response to a statement question. Thank you – this was super helpful.